This course is for beginners. 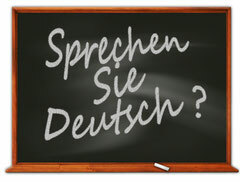 You will get to know the basics of German language and build up an extensive vocabulary. The aim of the course is to target general vocabulary and grammatical structures which will enable you to communicate in German in daily situations. You will be able to introduce yourself, and you will be able to ask and answer basic questions. Your vocabulary will increase and you will learn the basics in German.